Facebook, Twitter, LinkedIn, YouTube, Google+... You've probably got these. 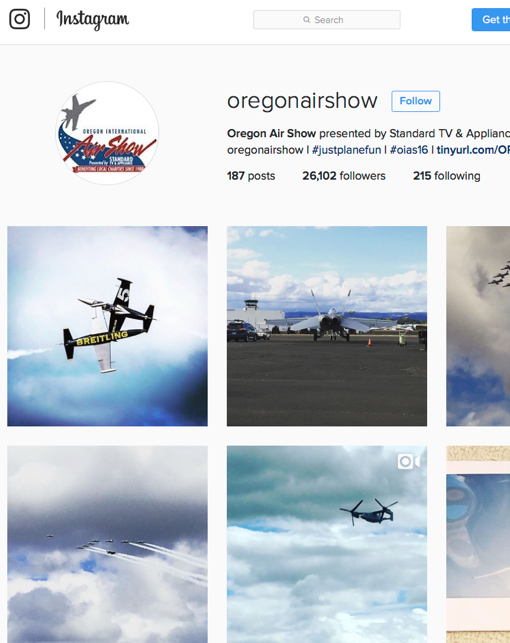 Every air show and performer has social media but staying relevant and effective in the constantly shifting social media world can be tricky. We keep ourselves up on the latest in social trends, changing site algorithms, paid advertising best practices, and emerging social sites by constant education and daily use for most of our clients. We have been recognized as social media experts and served as panelists on several ICAS social media educational seminars. 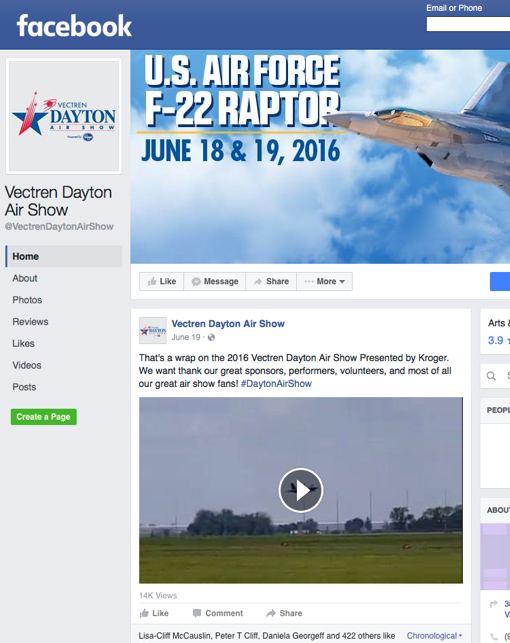 "As one of the leading air shows in America, we are dependent upon drawing a large crowd to our event and much of that is dependent upon the quality of our marketing. 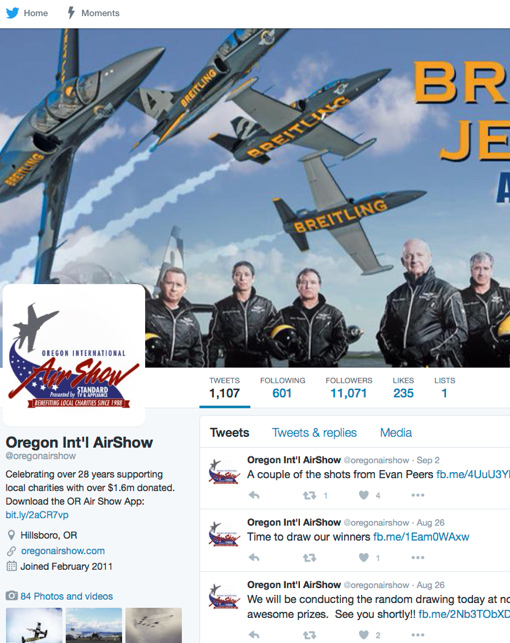 Over the past seven years, Herb Gillen Advertising has been a valuable contributor to making our show a success. Utilizing Herb Gillen as our off-site marketing department has allowed me and our staff to concentrate on other show management functions with the peace of mind of knowing that our marketing is being handled professionally. 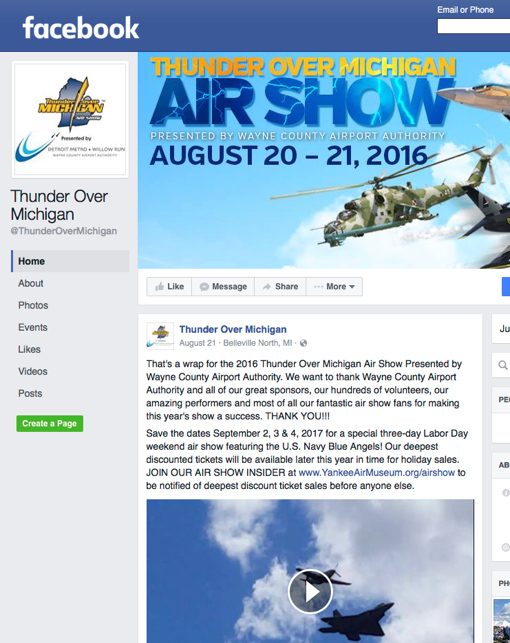 They have a unique understanding of what I need as an air show organizer and I can always trust them to provide sound advice and spectacular creative for our show."